While paint and stain protects exterior wood, when it starts to fail or peel away, the wood is exposed to the elements. Without protection, wood becomes dry, cracked and can rot or become vulnerable to mold and pest damage. If the dry, cracked wood on your home isn't rotted, you can get many more serviceable years out of it by properly priming and painting it to last--and this is cheaper than replacing exterior siding or trim. Make sure the wood is free of loose paint, dirt and mildew. If it's very soft and coated with loose wood fibers, sand or wire-brush it until the surface is sound. Prime the wood with a high quality primer from a paint store instead of a hardware or home improvement store. There is disagreement among professionals about what kind of primer performs the best. Alkyd (oil-based) or acrylic (water-based) primers will both work well. Ask staff at a paint store which they recommend. Your climate and the type of wood may dictate which will work best. Caulk and fill cracks and gaps in the wood. Use paintable silicone caulking for narrow cracks, and exterior spackle or wood putty for wide cracks, holes and gouges. 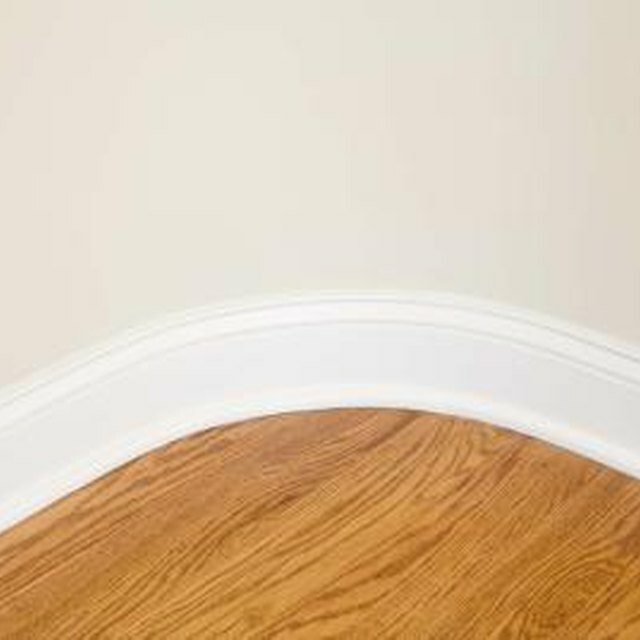 Spot-prime over spackle or putty repairs, using the primer you used on the rest of the wood. Caulking does not require priming. Paint the wood with two coats of 100 percent acrylic paint. If you are painting an older home with historical significance that is coated with several layers of oil-based paint, consider using oil-based paint instead of acrylic. Otherwise, a quality acrylic paint will be your best choice.